The fallout from the Daily Telegraph’s probe into corruption in football continued on Thursday when Barnsley suspended assistant manager Tommy Wright, while QPR manager Jimmy Floyd Hasslebaink and Leeds owner Massimo Cellino were named by the newspaper. Only a day after England manager Sam Allardyce was forced to leave his position after explaining to undercover reporters how to get around transfer rules, Wright has allegedly been filmed accepting a £5,000 bung. He apparently became involved in three meetings with reporters where he accepted a fee in return for encouraging his club to sign players from the company in Asia. Barnsley said in a statement that, "the club has suspended Tommy pending an internal investigation into these allegations." 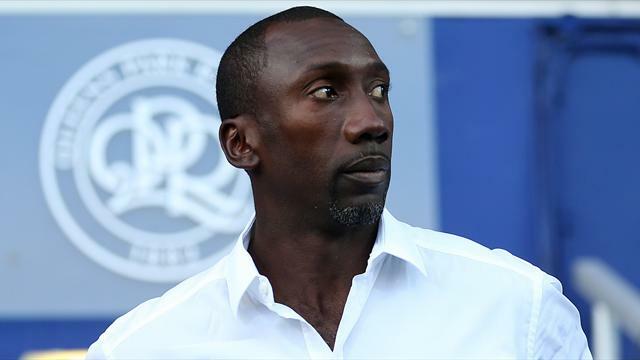 QPR manager Hasselbaink is allegedly seen discussing a £55,000 fee to work for an agency wanting to sell players to the London club. 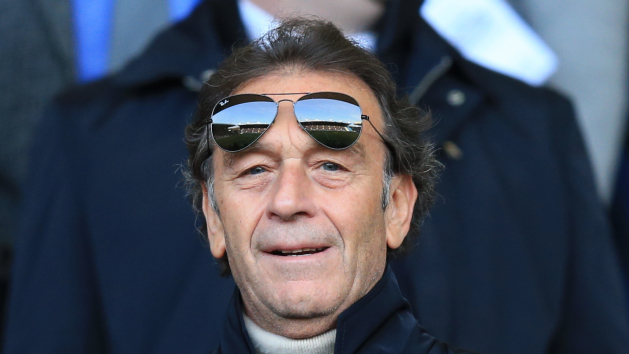 Leeds owner Cellino, meanwhile, allegedly "held a meeting with the undercover reporters at which he discussed a way that his club could get around Football Association rules on third-party ownership of players," according to the Telegraph. Wright was allegedly caught on a secret camera accepting a £5,000 bung. "I can just recommend players to you that I've gone and seen, and you will have to do your spicy dealing, whatever you do," Wright is allegedly heard saying. He allegedly says "you know where I live” when asked about where he should be paid. Wright apparently then says "cheers, just put it there” when he is offered the envelope. The Daily Telegraph are quick to make it clear that Barnsley were unaware of Wright’s meetings with the fake firm. "Any suggested acts contrary to criminal law or those of the FA and FIFA are categorically denied,” said a spokesperson for Wright. Hasselbaink, a former Chelsea striker, is allegedly seen discussing a £55,000 fee to work for an agency wanting to sell players to the London club. QPR have launched an investigation, but appear to be backing Hasselbaink. "We have every confidence in our manager and the robust systems and processes the club has in place," said the club. "I was approached by Mr McGarvey and Ms Newell of The Telegraph purporting to be players' agents. They offered me a fee to make a speech in Singapore,” he said. "I do not see anything unusual in being offered to be paid to make a speech. "I did not make any promises in return. I did not ask QPR to purchase any of the players who were said to be managed by Mr McGarvey and Ms Newell and did not and would not recommend the purchase of a player for my personal gain." Leeds owner Cellino was apparently willing to sell shares in the club to company to beat strict FA third party ownership rules. "Massimo Cellino, the owner of Leeds United, was filmed suggesting the firm should become a shareholder in his club, in return for which it would receive a portion of his players’ sell-on fees," the newspaper claims. He allegedly said the fake firm could become shareholders to take a percentage of the players' sell-on fees. "Mr Cellino proposed a way that the fund could effectively finance the purchase of players and then profit from their sale. Mr Cellino explained that due to the rules he could not simply give an outside firm a percentage of the sale of the player," the paper explains. "But he proposed the firm bought shares amounting to 20 per cent of the club, in return for which it would receive a 20 per cent cut of future sell-on fees." Banned Italian agent Pino Pagliari appears with him. Pagliara is banned from all football for his part in the Geneo-Vinzeno bribery scandal 11 years ago. Leeds has described the report as a "non-story". "The club has reviewed the supposed ‘evidence’ that the Daily Telegraph have published tonight," said Leeds. "At no time in this video clip has Mr Cellino suggested getting around the FA’s rules on third-party ownership of players. "In complete contrast to what has been suggested, Mr Cellino has made a perfectly proper suggestion which is entirely consistent with the FA’s regulations, as the only parties entitled to take benefit from ownership of a player is the club itself. "If a company commits money to a club by way of investment, taking on the potential for profit but also the risk for loss, then that is a normal, every-day corporate process. "This is plainly not a suggestion as to how to circumvent the rules, but rather, an accurate albeit concise explanation of how to operate within the confines of the rules and effectively become ‘the club’. "The club intends to make no further comment on this non-story.’"
Big Sam crisis: Who takes over now Allardyce has gone? VOTE: Who next for England?